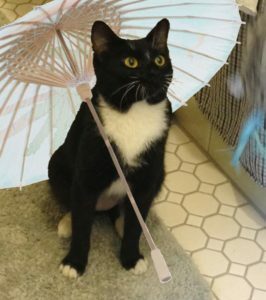 Today, my darling Gentle Reader, I want to talk to you about my great love and passion, the humble parasol! 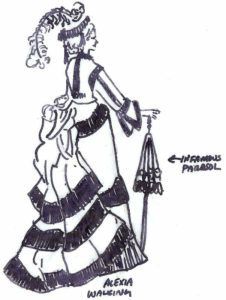 Alexia carries several Parasols through the course of the Parasol Protectorate and passes on various others to her daughter, and her daughter’s best friend, Primrose. 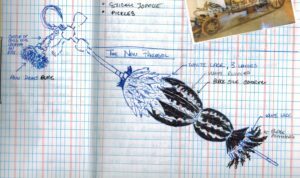 Here it is as I had it sketched some ten years ago (with steampunk gadget action). 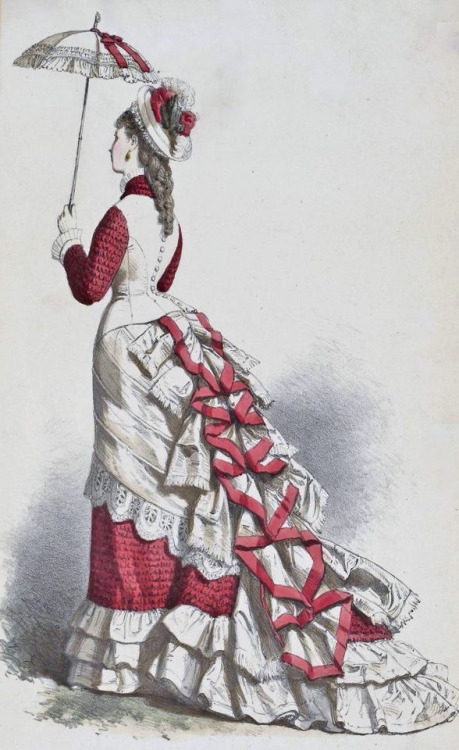 Here’s an 1875 fashion plate, playing with a similar style. 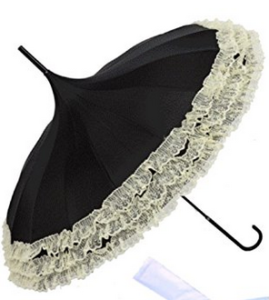 If you are look for something online for an Alexia cosplay, I feel like this one most closely resembles this original parasol (which she eventually loses) is here for $24. I love the shape, I’m a bit mad for anything approaching sphere shaped. 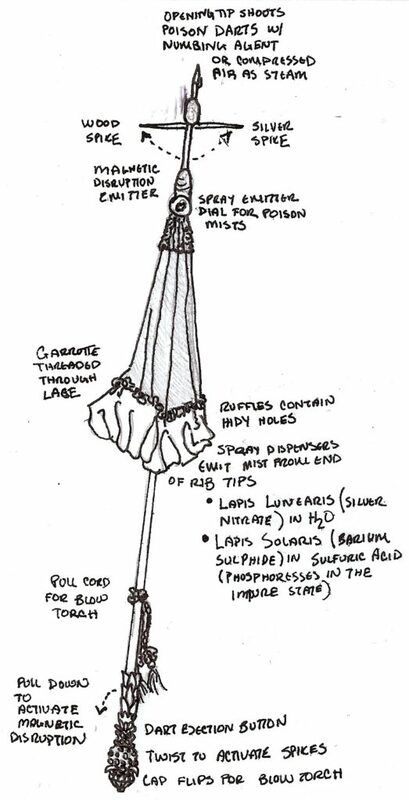 So here is the sketch for Alexia’s second parasol. 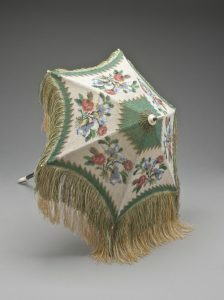 The parasol is such an ubiquitous accessory up through the 1920s. 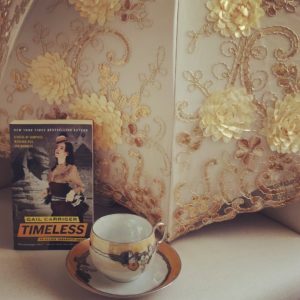 One of the rabbit holes my obsession with the parasol has taken me on is how it was carried. 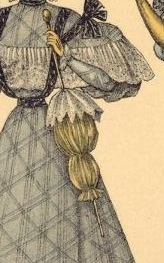 There is, of course, the parasol pocket on 1870s dresses. There are a few examples of this but it isn’t particularly common. It seems to me that’s it’s more likely to have rigged up some kind of belt and chatelaine holder. 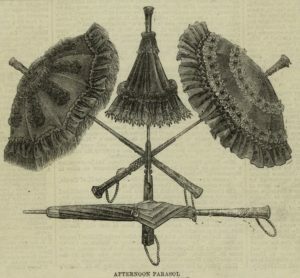 But then one would expect more parasols to have hooks in them, which we don’t. 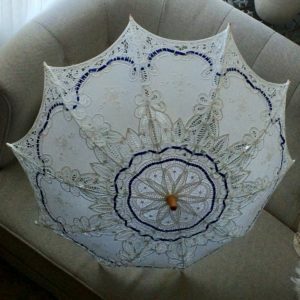 I myself have quite the collection of parasols, you can check them all out over on Retro Rack. 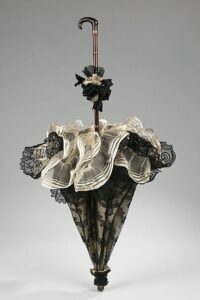 My favorite is a vintage Edwardian tilt parasol. 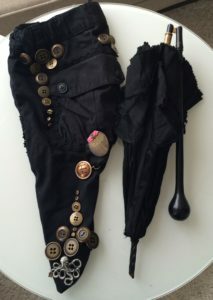 I use this so much for steampunk events that I created a holster for it out of a pair of cargo shorts. In a giveaway to my Chirrup members. Sign up here. Opportunity to enter happens when that issue goes out. 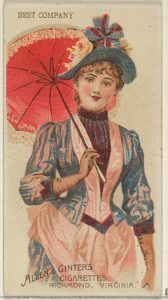 Parasol Language: Carrying it elevated in the left had – desiring acquaintance. 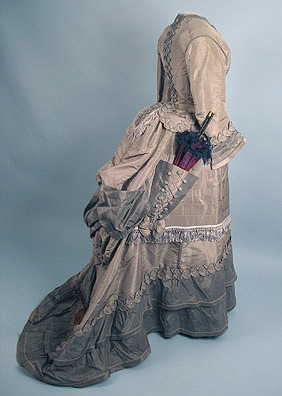 Carrying it elevated in the right had – you are too forward. I always imagined that Alexia’s parasol had an attachment for the tip whereby she could shoot out a rope for easy climbing or swinging from buildings. SQUEEEEEEE!!! 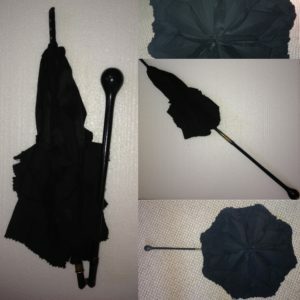 Liliput with parasol!! That is cute overload! One of my awesome readers made that for me right after I got Lilli.